Let’s talk fencing for a minute. After the first of the year, when 90% of the fences are re-done, we will talk a lot more about fencing. but for the sake of sharing the current fence status over here, i thought i’d share some images for your enjoyment. 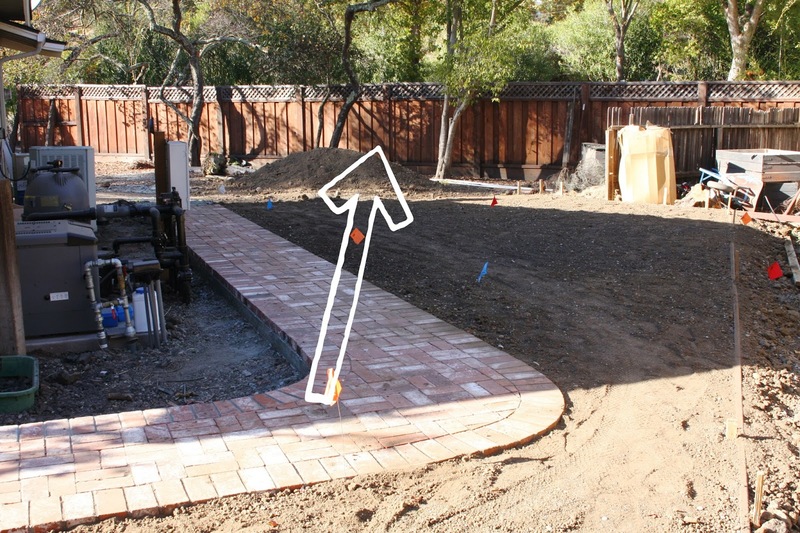 with the exception of this fence line (along the left side of the house)…. most of the fencing on this property is falling apart. literally. that works out nicely with the kids playing in this swing set area on the other side of her fence. not. ha! she agrees this needs to be remedied. i love seeing families and people riding bikes or walking dogs on this trail. but there needed to be some sense of security – not only keeping people off our property (which happened more than once), but additionally keeping my kids on our property. we needed a front fence, but i wanted something that didn’t obstruct my view of the trail. iron fencing was a thought, but it was expensive given the length i needed out here. the answer = deer fence! i love this deer fence!!! 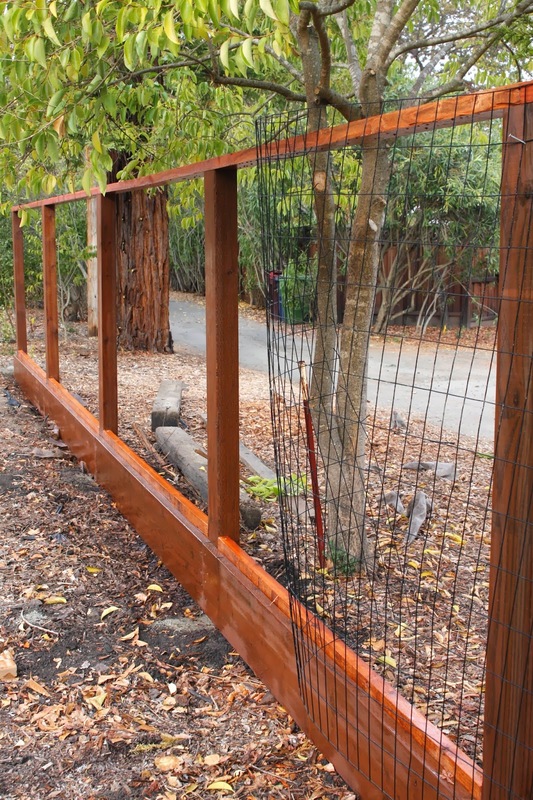 seeing this beautiful new fence gets me excited about the remaining fences in the new year. That is really good looking deer fencing! I love it and it sounds like a great solution. I can't wait to see the rest of the fencing. What a difference that is going to make! It looks beautiful, I really love the deer fencing! Can't wait to hear how you go about replacing all the wood fencing and how that works with the variety of neighbors you share borders with. The deer fence looks great! What a great solution- I never would have thought of that! Wood used? Did you use 4×4 posts, how tall is the fence and how deep where the posts set in? Were 2×4's used for the top rail / lower rail framing? Is that a 1 x 8 for the kick plate? Lastly distance between posts. Thank you so much for your sweet compliments – I appreciate that so much. As well as the time you took the read my post and leave a comment. I don’t have specific directions for how to build the framing – just went with what seemed efficient and easy. First, the posts were set in concrete (8′ apart), A kick plate was added to the bottom. 2×4’s are lining the top. Then the wire comes in a 100′ roll (in several colors – I chose black)…just rolled and stapled on. Heavy duty staples. After installed, a guy came through with a spray machine for staining. 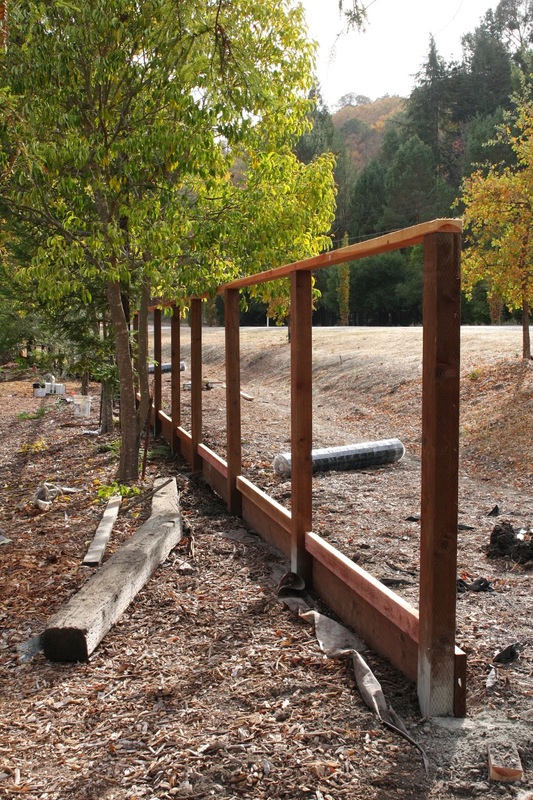 It’s a loooooong span of fencing so it took an entire day with several people doing the job. But it was much much easier than building an actual wood fence. And I love how pretty it is…how nice it keeps the front yard. We live on a regional trail so I am still able to enjoy the view, while keeping the kids safe and people off my property. And certainly no deer or bears have shown up! haha! Thank you again and please let me know about additional questions! 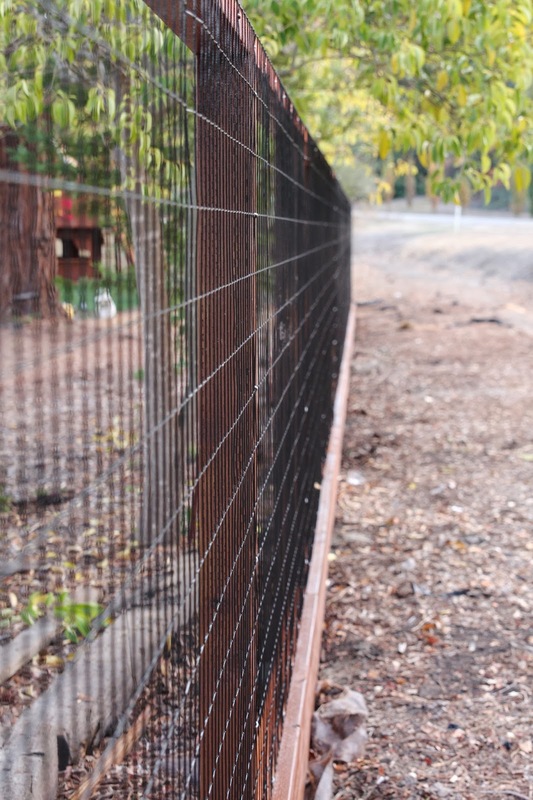 6 ft fence?….it’s actually real wire, correct ? Thank you! I know this is an old post but I love the fence. I was curious: (a) How high is it? (b) Did you need to stack wire at all? As in, did you need to put one roll of wire above the other to achieve any height? I ask because I’m looking into wire type now and the tallest I can find is four feet. (http://m.homedepot.com/p/Everbilt-4-ft-x-50-ft-14-Gauge-Black-PVC-Coated-Welded-Wire-308382EB/204331908) is this what you used? The fence is 8 feet high and the wire came from a local fence company. It comes in very long sheets – my fence is VERY long so they gave me sheets in 100′ length. The wire is not stacked, it’s one full sheet…just rolls on and as you go you staple it to the framing. My suggestion is to contact your local fence company or a local fence company supply shop to see about purchasing the wire. 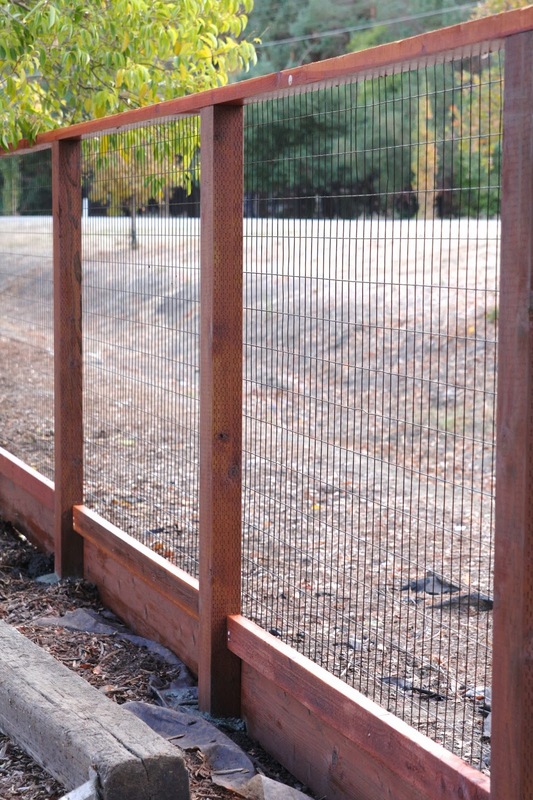 I’m pretty sure that kickplate is a 2×8 or 2×10, I’m committing to making a fence like this around our vegetable garden. Sorry to say, but deer can scale a fence taller than this one. Nice looking tho. I’m sure they can, but they haven’t in the amount of time this fence has been up. And there are a lot of deer in this area. It is 8′ tall…thank you for the compliments! It really is beautiful! It sure doesn’t look like it’s 8′ tall. Can you please supply the name of your fence company? Thanks. Hi! I know this is an old post but I just stumbled upon it! Thank you, Pinterest!!! If you can remember, do you know about what it cost you to build this? We’re moving into our dream home but it’s lacking a fence for our two big dogs and we’re buying it at the top of our budget!! I LOVE this fence! Thanks in advance! Hi! Let me dig around in my paperwork and get back to you. I need to pull out house papers anyway because I need to find out the color of my concrete…yay! Did you find the total cost? I love this fence idea. Can you tell me how you handled stapling the wire at the corners? We’re building a similar fence and the wire will be stapled to the inside of the post, but we can’t figure out what to do with the corners. Thanks! Thank you! I love this fence! For stapling, it’s stapled on the side of the fence that doesn’t face the house. Therefore I was able to staple up the back side of each vertical post and at the top and bottom of the horizontal posts. The fencing is rolled out in one long sheet so I didn’t staple it on the inside of the posts. Hope that all makes sense! Ah yes, that makes sense. Since we need to staple it to the inside of our fence, I think we will add a couple of 2 x 4s on the corner posts, which will give us something that we can staple the wire fence to. i am wondering if you made any gates in this fencing anywhere? if so, i would love to see what they look like. we are about to start doing a very similar fence for our chicken run, but i can’t figure out the gates…any help would be SO appreciated!!! you fence looks BEAUTIFUL!!!! great job! I didn’t put gates in for this stretch of fencing so I’m sorry I can’t help you with that. Thank you so much!!! I do love the fence and it has held up beautifully!!! Hey where did you guys purchase the black coated with fencing and how much was it? What we’re the dimensions of fence? We are looking to do something similar! Great looking fence.